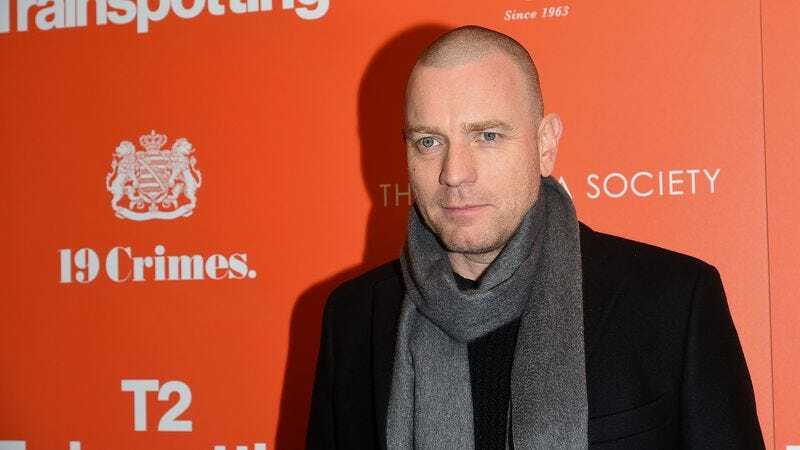 According to Variety, Ewan McGregor is in talks to star in Christopher Robin, the live-action Disney movie about Winnie The Pooh’s friend growing up and moving on without that honey-loving bear and his adorable buddies. When Pooh realizes that Christopher Robin has “lost all sense of imagination,” he re-enters the now-adult man’s life to “help him gain that back.” McGregor would play the imagination-less man, and barring some kind of time travel twist, that means it would largely revolve around him hanging out with Pooh, Eeyore, Tigger, and Piglet. Christopher Robin is being directed by World War Z’s Marc Forster, but despite all evidence to the contrary, it doesn’t sound like this is supposed to be one of those grim and gritty twists on a beloved old property. Also, Variety doesn’t go into this, but bringing McGregor into the Disney family would make it a bit easier to get him into a meeting about doing a solo Obi-Wan Kenobi movie, which would be pretty cool.